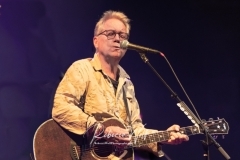 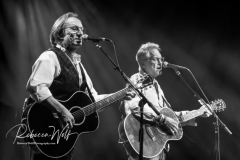 What stands out about the band America, specifically Gerry Beckley and Dewey Bunnell, is that they continue to exhibit obvious joy in playing the music they created together and in sharing their legacy with millions of adoring fans. For the past 49 years Beckley and Bunnell, the founding members of the band America, have played 100 shows a year, every year! 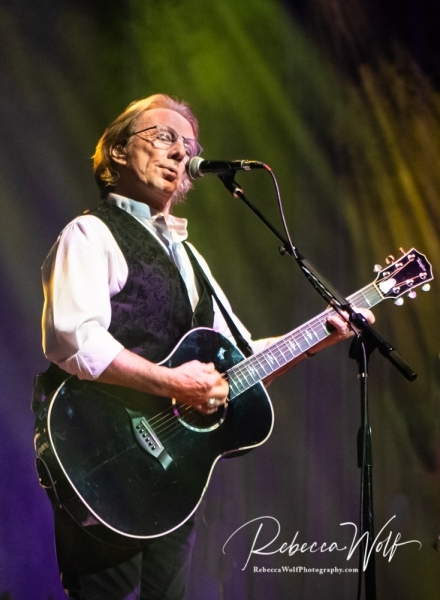 The dedication and passion this requires is amazing, and this spirit emanated from the stage and enveloped the audience throughout the sold out show at The Wellmont Theater, on February 9th. As fans basked in the glow of this enthusiasm and heartfelt joy, it seemed impossible to not to sing along as they played a string of America’s top ten hits. Bunnell and Beckley’s positive spirit has spread to their band members, who exhibited an equivalent level of enthusiasm, while playing America’s iconic music. 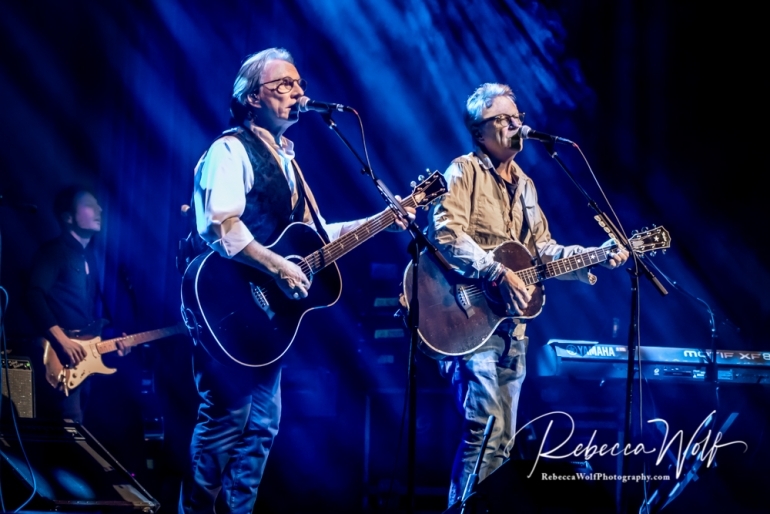 Newest member of the band, lead guitar player, keyboardist and vocalist, Steve Fekete, was a whirlwind on the guitar, as he played alongside Beckley. “That was dangerously close to jamming,” Beckley joked, after the two joined forces on their guitars and “rocked the house.” Bass player and vocalist, Rich Campbell, has been with the band for the past 15 years, after years on the road with Natalie Cole, Three Dog Night and Dave Mason. Campbell’s skills were highlighted during his “guitar battle” with Fekete, from opposite ends of the stage. 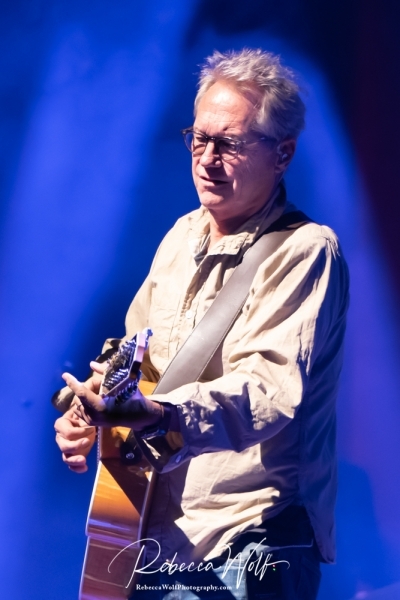 Each musician equally demonstrated his guitar prowess, as well as his enthusiasm for performing. 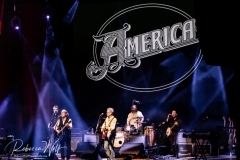 Drummer and vocalist, Ryland Steen, playing with America since 2014, further lifted the energy of his bandmates and the crowd with his intensity and passion on the drums. 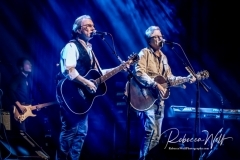 The fantastic guitar battles, coupled with the powerful percussions, added an increased (and much appreciated) rock and roll mood to the atmosphere, beyond what one would typically expect from a folk rock band. 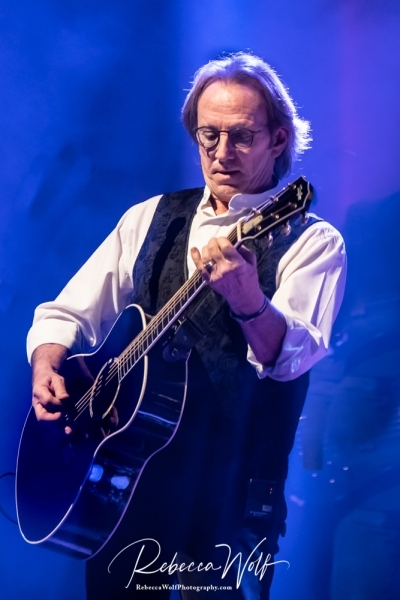 From the opening song of the night, “Tin Man”, to the encore, “A Horse With No Name”, the night was filled with a positivity, warmth, spirit and passion that can only come from artists who truly love what they do, have an amazing connection with each other, and want to share that with their fans. 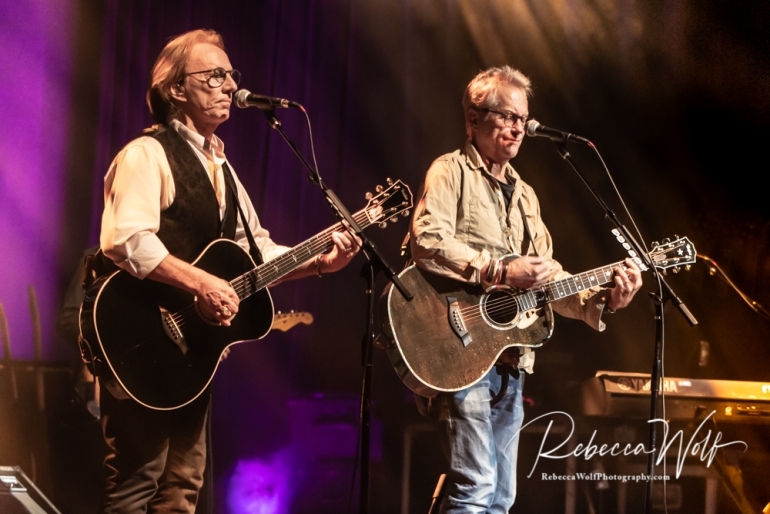 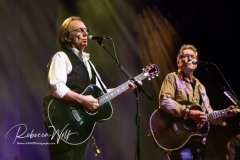 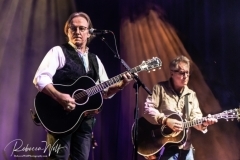 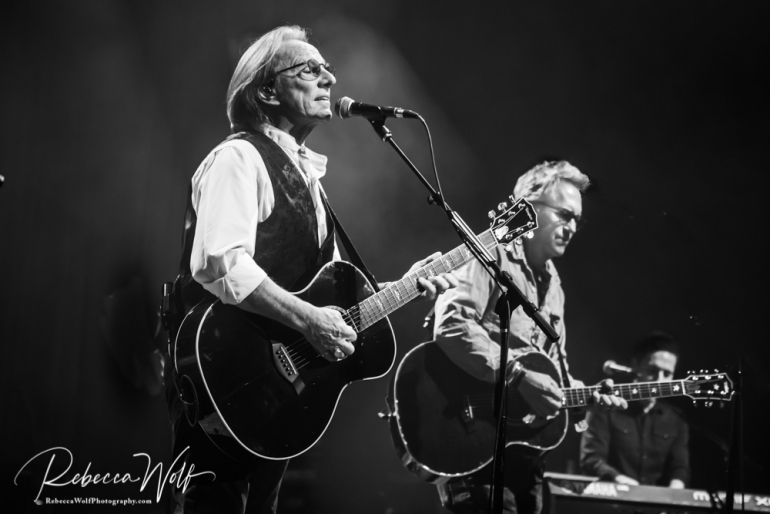 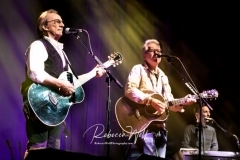 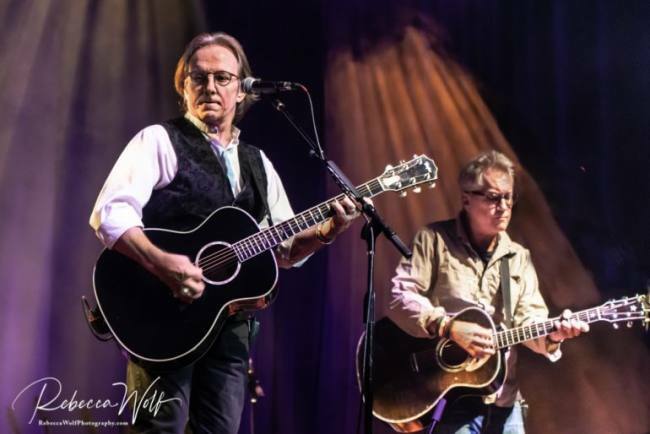 That’s Gerry Beckley and Dewey Bunnell, and that’s America ….delivering a night of great music, wonderful memories, huge smiles, and warm hearts. 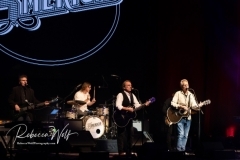 What more could you ask from a musical performance?